Imagine this: You’re at the beach in Mexico with your 12-year-old daughter. She bends over to pick up her towel and you notice a hump on one side of her back. Upon returning home, you go to your family doctor. He asks your daughter to bend forward, and glances at her back. “She may have scoliosis, so let’s send her for an X-Ray.” Walking out of the clinic, your mind is buzzing with questions. A week later, the X-Ray results show a 38° C-shaped curve in your child’s spine. The doc says there’s a 9-month wait to see a specialist at Children’s Hospital, and the only thing you can do now is ‘wait and see’. Google shows pages of mixed advice about scoliosis and other spinal deformities – the anxiety of the unknown becomes overwhelming. You even see posts about a surgery which would fully fuse your daughter’s spine. Now, shift into the girl’s shoes: your mom is freaking out, you don’t get why. The doctor said something about a curve, so you search #scoliosis on instagram – people post about wearing huge plastic braces, having back pain, undergoing surgeries. You don’t know ANYone at school who has scoliosis. Physiotherapist Andrea Mendoza started seeing scoliosis clients while working at Kids Physio Group. She travelled to the USA and became certified in the Schroth Method, and after meeting many families with similar stories, she realized that a massive gap in care – physical and emotional care – existed for teens with scoliosis. These families needed a space that was calm and welcoming, with longer appointments and specifically designed exercise equipment. They needed a place with incredibly empathetic staff who could answer the many questions that kept these teens, mothers, and fathers awake at night. 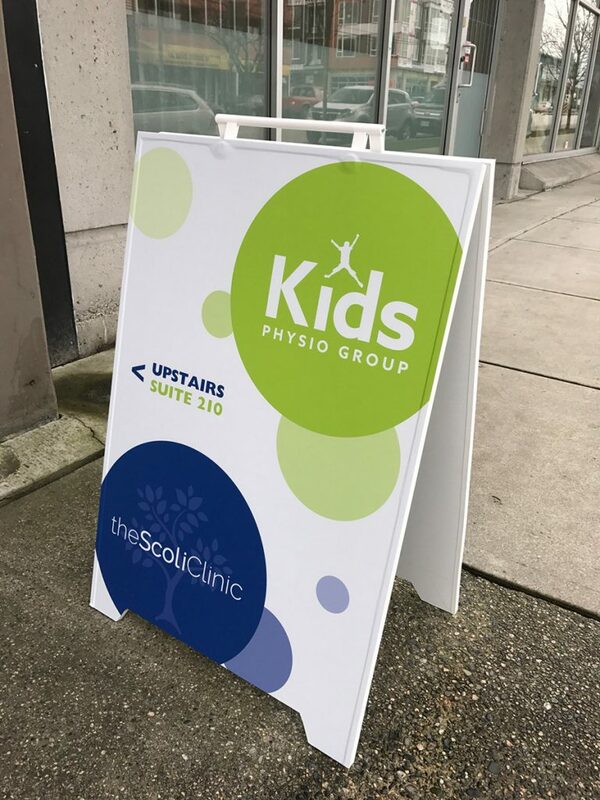 Listening to clients’ needs led to the creation of the only private Physiotherapy company in British Columbia fully dedicated to providing non-surgical treatment to teenagers AND adults with scoliosis and spinal deformities, empowering families to take action rather than the traditional wait-and-see approach. The team wanted to create a space where those with scoliosis could meet others on the same journey, to know they are not alone with this isolating condition. Since The ScoliClinic’s launch in April 2016, the team has established multiple locations in the lower mainland. The team of compassionate therapists and Client Coordinators work hard to provide the scoliosis-specific physical and emotional care that these clients need. Now with a continually-expanding team at the location in Vancouver shared with Kids Physio Group, a satellite clinic in Surrey within Hodgson Orthopedic Group, and another clinic in North Vancouver shared with Synergy Physio + Pilates, The ScoliClinic strives to change the game of conservative scoliosis management in BC by addressing the physical, emotional, and social factors that affect people with scoliosis. The ScoliClinic is continually evolving to help people with scoliosis stand tall, from the inside out.